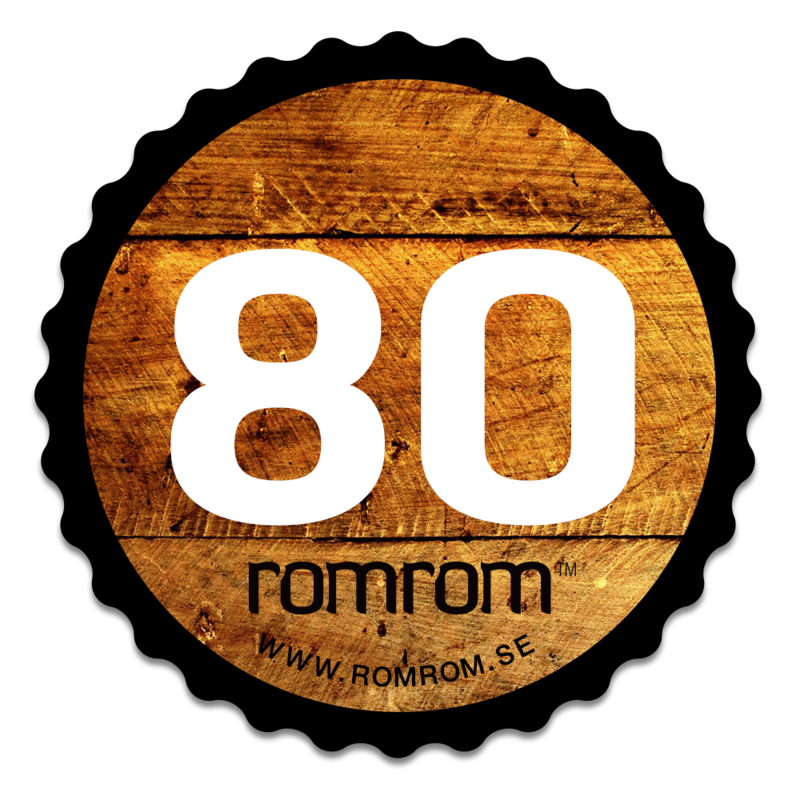 Alta Gama Sec – RomRom.se – Mörk rom, lagrad rom och kryddad rom i Sverige! Alta Gama Sec är alltså den rom som är sötat med 25 gram socker per liter. Det syns ganska tydligt i glaset att den har hög sötma. Men överraskande nog så är aromen väldigt lik Alta Gama Brut Nature och Alta Gama Extra-Sec. Den är kanske lite mjukare, och det är lite svårare att plocka ut tydliga toner. Den stora överraskningen kommer dock i smaken. Vi hade förväntat oss att Alta Gama Sec skulle vara ordentligt söt och oljig, men så är inte fallet. Absolut – den är söt, men det är ändå på ett balanserat sätt. Det är lätt att man sitter och försöker identifiera sockret, men när man tar ett steg tillbaka så är Alta Gama Sec bara en riktigt god och kul rom. Avslutet har en trevlig kittlande karaktär – som trots sötman inte ger en oljig känsla i munnen. Precis som med sina syskon-rom, så ger vi Alta Gama Sec en extra poäng för att den är del av en så kul serie rom. Det ska bli kul att se om Alta Gama hittar på en andra serie – och om de då fokuserar på styrka, eller lagringstid – eller om de tittar på sötma igen fast med en annan stil på rom. 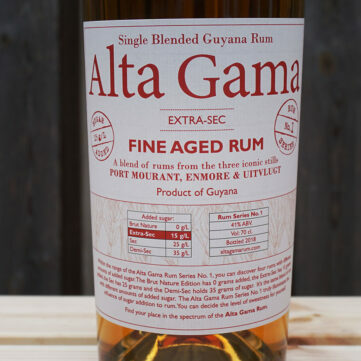 Alta Gama Rum is suitable for most rum drinkers, whether you prefer dry or sweet rums. 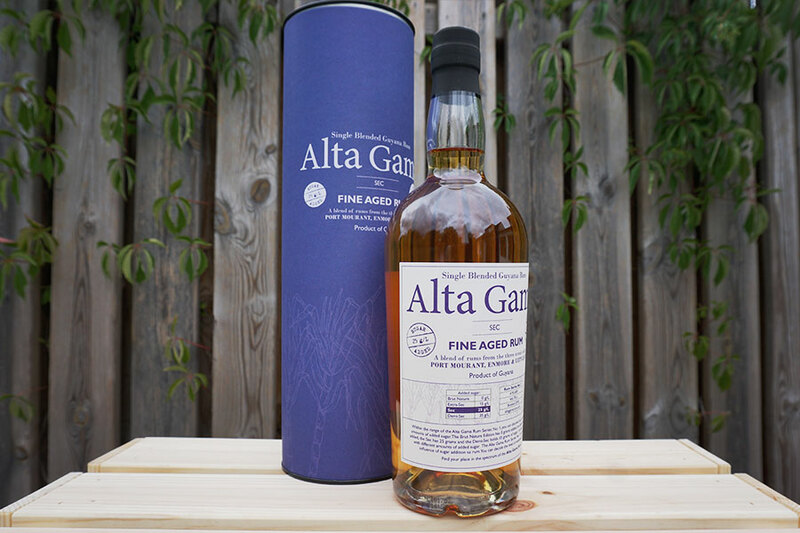 The purpose of Alta Gama Rum SERIES NO. 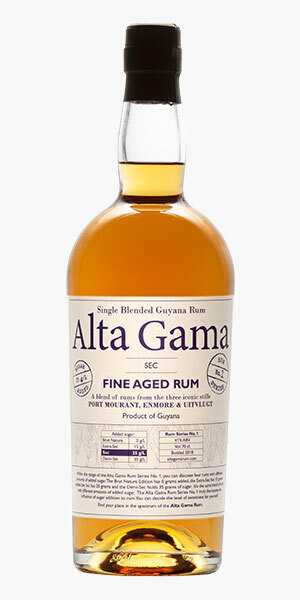 1 is to show what sugar addition can do to a quality rum, and therefore you can find Alta Gama Rum SERIES NO. 1 with and without added sugar. 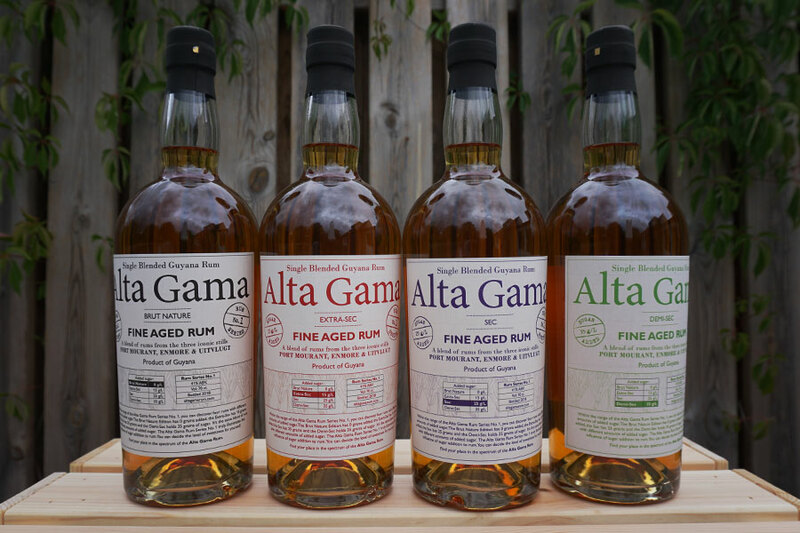 The four different rums in the Alta Gama Rum SERIES NO. 1 contains 0, 15, 25 and 35 grams of cane sugar per liter rum. If you prefer the sweet type of rum, go for the one with 25 or 35 grams of sugar. If you like your rum a bit more dry, you should try our versions with 0 or 15 grams of sugar added. It’s an incredibly good experience to taste all the different editions up against each other, as this gives a good understanding of what the dose of sugar does to a rum. Some rum producers add sugar to their rums to highlight some flavors in the rum. Others add sugar to hide flavors or critical errors in the distillate. This is the essence of the sugar addiction problem – in some cases the sugar addiction is used in a well-meaning cause and in other cases it is used as smoke and mirrors. 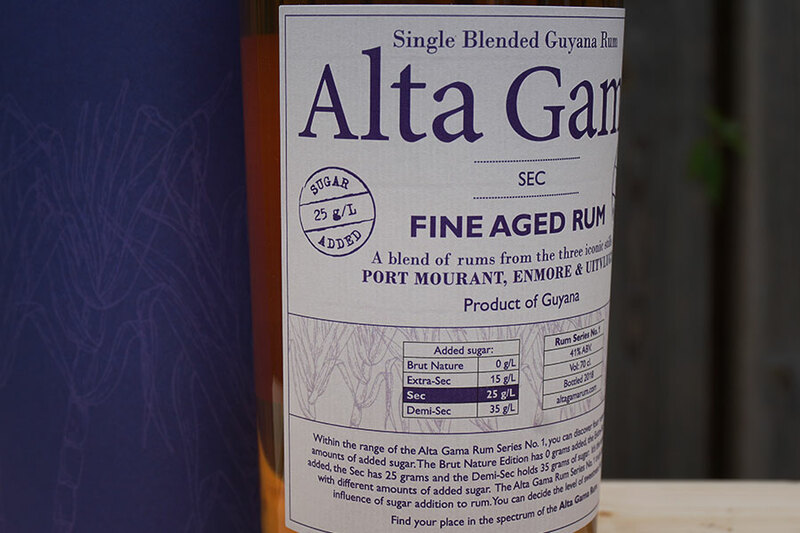 At Alta Gama Rum, we are completely open about the addition of sugar to our different rums. Our base blend holds no added sugar and is in itself superbly balanced, with a beautifully integrated alcohol and great taste – an extremely well-composed rum blend. With this blend we demonstrate the basic quality of our rum, and additionally offer versions with a gradually higher sweetness. We do not hide a badly produced product with sugar, we just support an already tasty blend with different sugar levels. 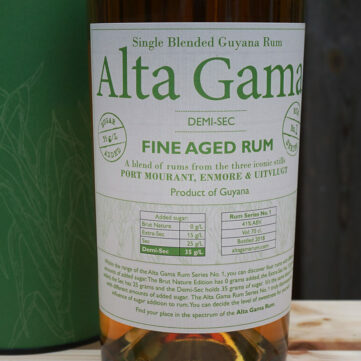 We offer three different versions of Alta Gama Rum, where the added sugar from bottle to bottle plays a bigger and bigger role. We don’t think it’s bad to add sugar to rum, although it is often being criticized by spirits purists. 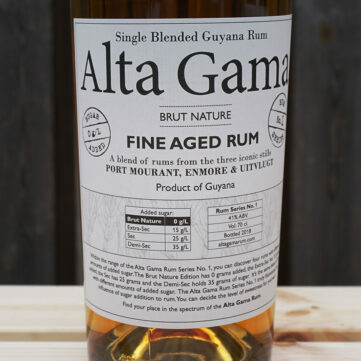 We do not think it’s a problem if you’re honest about the addition – especially in our case when you can taste the starting point of the rum without sugar added, as in the case of Alta Gama Rum Brut Nature. But why is the addition of sugar in rum considered a big no-no? In the production of the sparkling wine champagne, you add sugar to some of the world’s most expensive and most prestigious wines. You even show the amount of added sugar, called ”dosage”, in the label. The dose is found on the champagne labels, and there are even several dosage terms that divide the sugar levels. 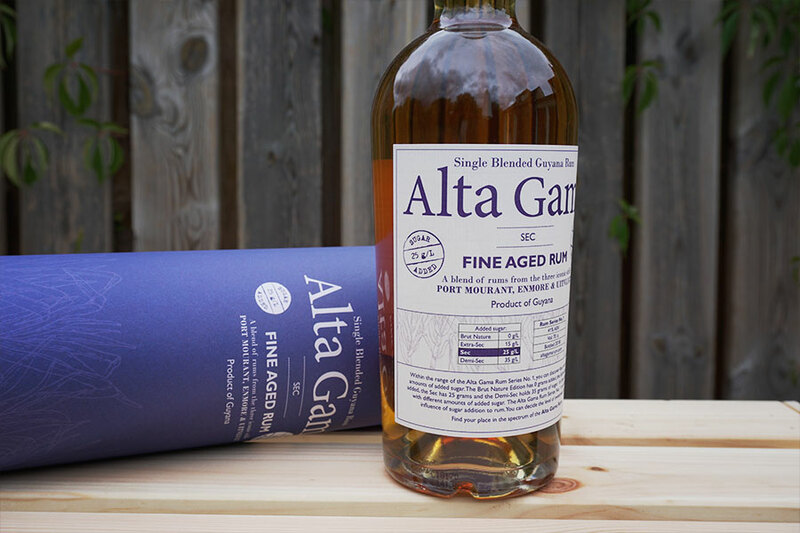 It makes sense to inform the consumer about the level of sweetness on the label, and for the same reason, it is also something that we do at Alta Gama Rum. It is perfectly natural for us to place the sugar content on the label, as it is an incredibly large part of the taste experience. It allows consumers to navigate between our products and helps them find the right rum. 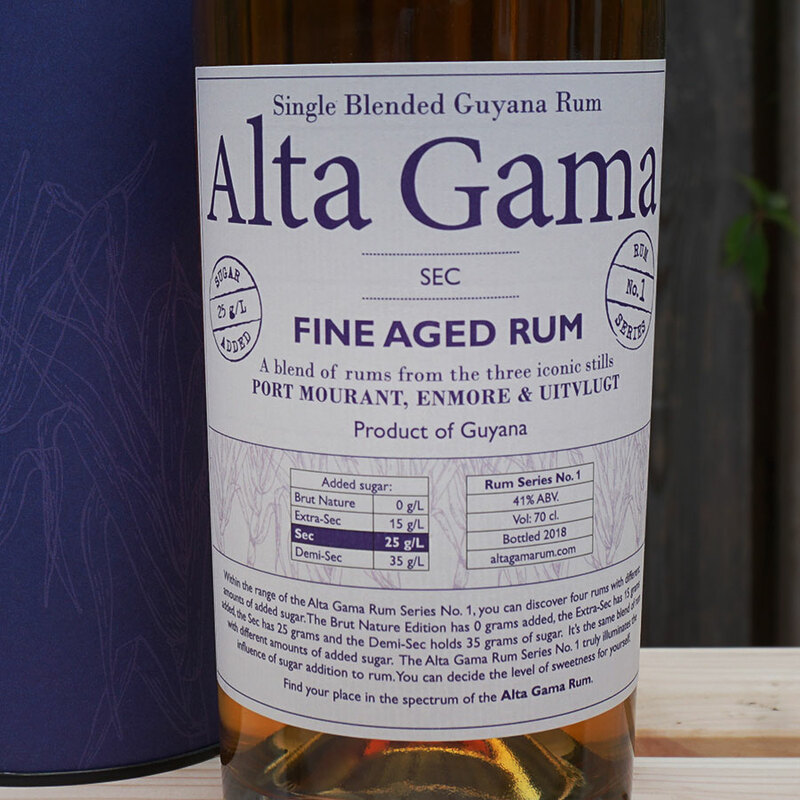 In all versions of Alta Gama Rum you will find the dosage mark on the label as well as the exact sugar content in grams per gram. liter rum. We are very proud to be able to do this as one of the first rum bottlers ever.